Speak With Savvy: Without Saying a Word - ShowUp! In business and professional environments, for example during an interview, at a networking event, or during a meeting, presentation or speech; what you don’t say can be more powerful and influential than what you do say. Non-verbal communications should not be discounted in terms of the image you convey and your ability to make a good first impression. 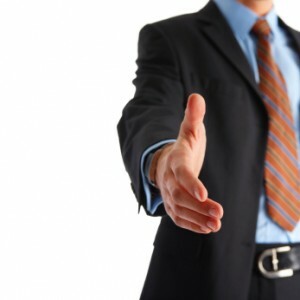 A proper handshake could mean the difference between sealing a deal or not. Eye contact or lack there of can convey a sense of trust and credibility or on the other hand, communicate a lack of certainty. Posture can send messages about charisma, character, and confidence. These are just a few examples of non-verbal communications. Savvy executives, politicians, lawyers, and other professionals understand the implications of non-verbal communications and spend as much time honing in on these skills as they do on the words they use to convey their messages. Click here to learn the interesting dynamics behind the handshake ritual of Obama and Putin at the 2013 G20 summit.